A passer-by caught this heartbreaking photo of an abandoned dog sitting alone at a train station with his eyes filled with tears. The dog was left at a station in East Sussex, U.K., last Wednesday, where his owner tied him up, set a plastic container of water in front of him, and then just drove away in a taxi, according to reports from the Express. 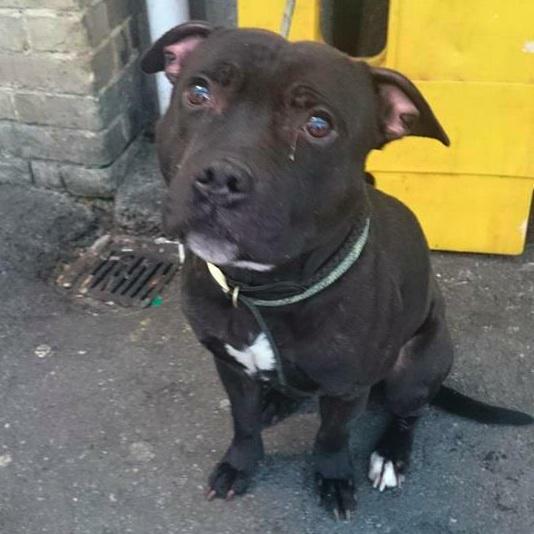 He sat alone at the station for hours, crying anxiously until rescuers picked him up and brought him to a shelter. 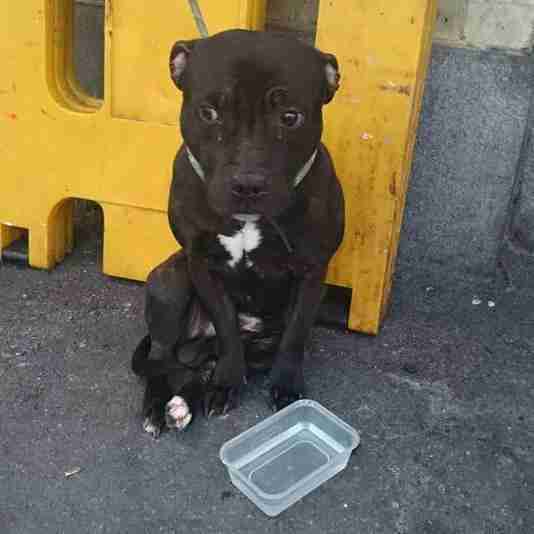 Gut-wrenching photos show him sitting all by himself, waiting for an owner who won't be returning. This report echoes the sad story of Kai the shar-pei, who was left at a train station with a suitcase full of toys earlier this winter. Things worked out well for Kai, who found a loving forever family and went home earlier this month. 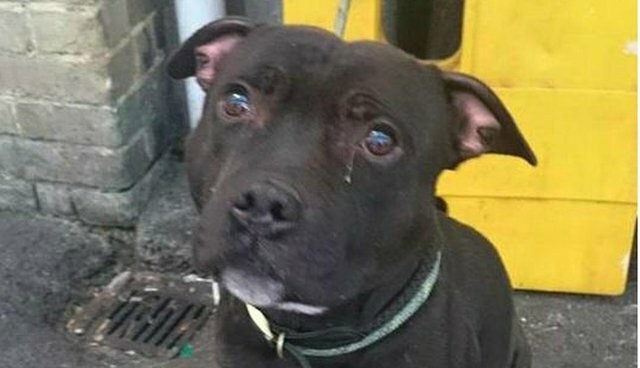 The shelter will try to contact this dog's owner before putting him up for adoption, but this sweet guy deserves so much better than a human who would leave him alone and scared. As of Monday, the shelter reported that they've already had more than a hundred emails and phone calls from potential adopters who want to give this pup a happy ending to his story. If you're ready to provide a forever home for a dog, visit your local humane society or search adoptable rescues on Petfinder.